Research shows advantages to burning native northern prairies. Fire has long been for fighting on the native prairies of the Great Plains states, but recent research is looking to change that mentality. 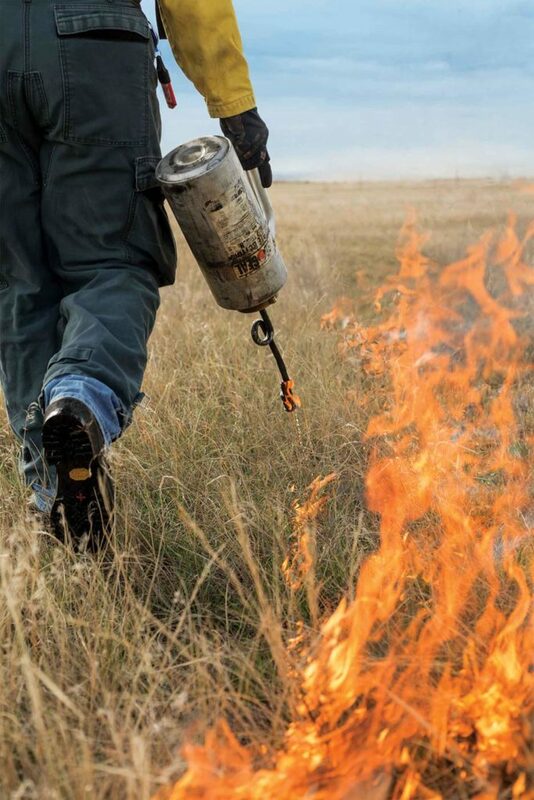 Lance Vermeire, a rangeland ecologist at Fort Keogh Livestock and Range Research Laboratory in Miles City, Montana, has spent over a decade clearing the smoke on the benefits and best practices of prescribed burns on native northern mixed prairie. Due to fire’s blackened reputation in Great Plains states, Vermeire estimates the area is 30 years behind on fire research basics, such as timing and how the plant community will respond to fire as compared to the Southern Plains states where burning pastures is a regular practice. Lance Vermeire lights up a native prairie plot for research he hopes will spur more controlled burns in the Great Plains. Vermeire’s research has challenged misconceptions about fire, proven out benefits and established management strategies for prescribed burning. Fires are like hitting a pasture reset button. Many native grasses respond positively to burning while woody and weedy plants decrease. “We see higher forage quality after a burn and animals favor burned areas,” Vermeire says. When a fire occurs, there is essentially a rapid decomposition of plant matter releasing a glut of nutrients in a short span of time, he explains. The plants take up these nutrients and soil microbes kick into overdrive cycling nutrients faster. This adds up to high quality forage. With all the low-quality litter removed, the only grazing option left is prime feedstuffs, and Vermeire’s research has found producers can take advantage of that premium forage faster than they may have thought. “We’ve found there is no benefit to backing off on grazing burned pastures,” Vermeire says. His research has consistently shown grazing moderately (50 percent forage removal) the spring following a summer fire has no negative effects. Cattle grazed on the burned acres gained weight and pastures recovered. He notes there’s also no gain from resting the burned area. “If you rest the burn and the plant community doesn’t benefit then you’re giving up a benefit and taking an economic hit.” This advice goes against the popular belief that grazing should be limited or avoided for a year or more following a burn. Weed wars. Weeds infestations may be a concern for many following fire. Vermeire says weeds are often the results of attempting to fight the fire, though. Weed seeds hitch rides on equipment and take advantage of soil disturbances such as mechanically created fire lines or bare hot spots from heavier fuels such as woody species. In carefully controlled burns of grass-dominated pastures, undesirable species actually decrease. “In sod-grass dominated systems that are adapted to intense and frequent fires we consistently see reduction in annual bromes such as cheatgrass,” Vermeire says. Woody species, forbs, and cactus also decline. 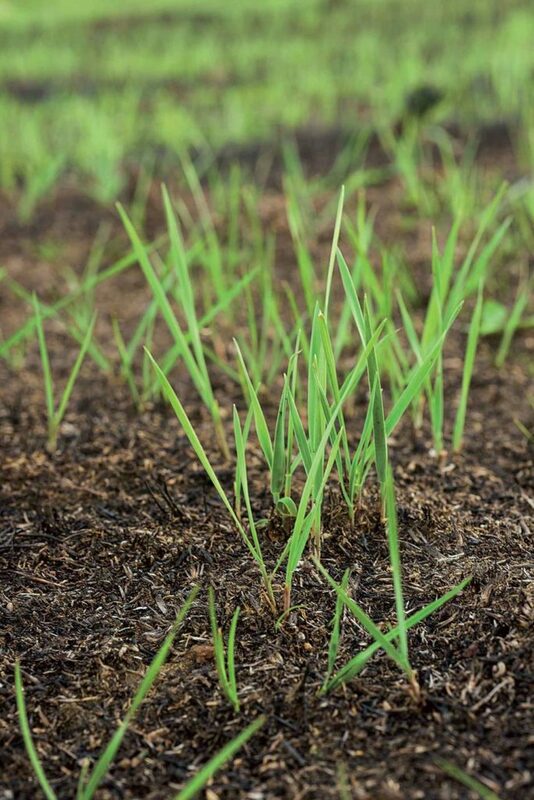 Grasses sprouting after fire are nutrient-packed, drawing heavy wildlife and livestock use. Interestingly, fire improves the forage value of an otherwise poor-forage-value native grass, purple threeawn. The bunchgrass is high in silica which wears down teeth and causes digestive problems. “When we burn we find there’s a large reduction in the silica content making it a more desirable species,” Vermeire says. Nutrient content of other beneficial grasses can change with fire, too. Phosphorus is a key element in forage quality and is essential for livestock to meet their energy requirements and gain weight, Vermeire explains. “What we’ve found is phosphorus might be subpar in our control plot vegetation, but the areas that have been burned meet the requirements for phosphorus,” he says. As an added bonus, Vermeire notes grasshopper and tick populations are also negatively impacted by fire. Lighting up. Controlled burns need to be carefully planned to maximize benefits. Vermeire has researched burns in almost every month. “We get the best positive impact on productivity and reduction of undesirable species by burning in late summer through early fall: August through November,” he says. While he doesn’t discourage spring fires, they don’t typically yield the temperatures needed to control undesirable species. He wants a decently hot fire. “We did some work with western wheatgrass, blue gramma, threadleaf sedge, and needleandthread grass to see how much heat they could handle,” Vermeire says. At up to 8,500 pounds/acre of fuel they saw no mortality on the western wheatgrass or threadleaf sedge. Blue gramma saw some losses at 6,700 pounds/acre. Native rangeland only produces 450 to 1,250 pounds/acre of forage. Post-fire grass is great grazing, but it shouldn’t make up all of a producer’s pasture acres. “There’s no backup forage if it turns off dry and you’re not growing any new grass,” he warns. “But you can build that old growth back up in 1 to 2 years with moderate grazing.” His research has shown pastures would benefit from burning every 3 to 6 years. Festulolium overseeding pumps up tired forage stands. Field efficiency is a factor when debating between a wider planter or faster planting speeds.